The University of Maine at Presque Isle and the Presque Isle Community Players will present John Cariani’s play “LOVE/SICK” for a second weekend, bringing the Presque Isle native’s dark comedy to the stage for its hometown premiere. 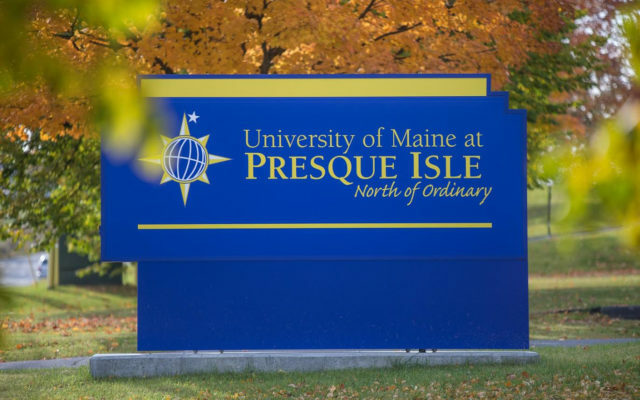 PRESQUE ISLE, Maine — The University of Maine at Presque Isle and the Presque Isle Community Players will present John Cariani’s play “LOVE/SICK” for a second weekend, bringing the Presque Isle native’s dark comedy to the stage for its hometown premiere. The show debuted last weekend. Performances will take place on Friday and Saturday, April 12 and 13, at 7 p.m. in the Auditorium in Wieden Hall; doors will open at 6:30 p.m.
A darker cousin to Cariani’s first play “Almost, Maine,” this unromantic comedy is a collection of nine slightly twisted and completely hilarious short plays is set on a Friday night in an alternate suburban reality. Full of imperfect lovers and dreamers, this show explores the pain and joy that come with being in love. “LOVE/SICK” brings together for the third time the creative forces of the playwright — Presque Isle native and Tony-nominated actor Cariani — and director Barbara Frick Ladner. Cariani has appeared in several major roles on Broadway, including in the 2017 Tony Award-winning musical “The Band’s Visit,” the 2015 musical comedy “Something Rotten!,” and the 2004 revival of “Fiddler on the Roof.” He performed numerous roles in Presque Isle High School and Pioneer Playhouse productions. Frick Ladner has directed scores of high school and community theater productions in the last three decades. The two came together for the first time in 1984, when Cariani played Doody in the high school production of “Grease” under Frick Ladner’s direction. The Presque Isle Community Players’ production features Dan Ladner, Tamia Glidden, Jeff Ashby, Debbie Lamont, Sherry Sullivan, Judy Crawford, John Kiehn, Yvette Stephens, Matt St. Jean, Amy Daniels, and Jonna Bouré. Original music for the show was composed by Julian Fleisher. While Cariani isn’t able to be a part of the production, he has been consulting with Frick Ladner and met via video conference with the cast to discuss their characters. “LOVE/SICK” is the most recent of Cariani’s four stage works. Along with “Almost, Maine,” his plays include “cul-de-sac” and “Last Gas.” “Almost Maine” is currently the most frequently produced play in North American high schools. Cariani graduated from Presque Isle High School in 1987. After earning his bachelor’s degree in history from Amherst College, he studied theater at StageWest in Springfield, Mass., and moved to New York City to pursue a career in acting. He made his Broadway debut in the 2004 revival of ”Fiddler on the Roof” and received an Outer Critics Circle Award and a Tony Award nomination for his portrayal of Motel the Tailor. On television, he is best known for his role on NBC’s “Law & Order” as Forensics Technician Julian Beck. Notable film work includes “Showtime” (with Robert De Niro), “Scotland, PA” (with Christopher Walken) and “Elephant Sighs” (with Ed Asner).